Which late effects are you the most at risk for? What are the sign and symptoms of these issues? Do you need a screening schedule to check for late effects? What can you do to prevent or lower your risk for late effects? Patients who receive radiation to the chest or certain chemotherapies as part of their treatment are at risk for cardiovascular damage such as weakened heart muscles, damage to the valves, and heart attack. Patients at the highest risk include— female patients, younger patients, and patients with other risk factors for heart disease such as obesity, smoking, diabetes, high blood pressure, high cholesterol, and family history of heart disease. Damage to reproductive organs can cause infertility in pediatric cancer patients. For male patients, damage to the testicles can result in low sperm count. For female patients, damages to the ovaries can cause early menopause or delays in puberty. Patients who receive certain chemotherapies, radiation to the stomach, or total body irradiation for stem cell transplants are at the highest risk for infertility. There are ways to preserve fertility, but these have to be done before treatment. Men can freeze and bank sperm. Women can freeze and bank eggs or embryos. Pediatric cancer patients are still growing and maturing. Cancer treatment can interfere with growth and development by damaging the endocrine system. The thyroid is part of the endocrine system so damage to the thyroid can cause thyroid dysfunction such as hyperthyroidism or hypothyroidism. For children whose bones are still growing, cancer treatment can be very damaging. Radiation can interfere with bone growth leading to shorter stature, scoliosis, and osteoporosis. Certain chemotherapies can also cause bones to be weak and to break more easily. The list above only touches on a few of the late effects childhood cancer survivors may face later in life. Other late effects may include social and emotional problems. Childhood cancer survivors are also at an increased risk of a second cancer diagnosis later in life. Screening recommendations for breast cancer, colon cancer, and leukemia are different for childhood cancer survivors. 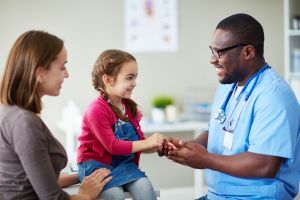 If you are a childhood cancer survivor, make sure you follow all screening recommendations, receive annual physicals, and provide your full medical history to any new members of your healthcare team. Download or order The Leukemia & Lymphoma Society's free booklet, Long Term and Late Effects of Treatment for Childhood Leukemia or Lymphoma Facts.